Mobile forms help you keep accurate records of your field equipment maintenance, and give your field technicians a robust tool to record and access information. Field employees can record equipment maintenance, service and repairs on site, using a smartphone for barcode scanning and filling out mobile form. Completed forms are sent and stored in a secure cloud, are easily searchable and accessible at any time from anywhere. The information flows both ways. 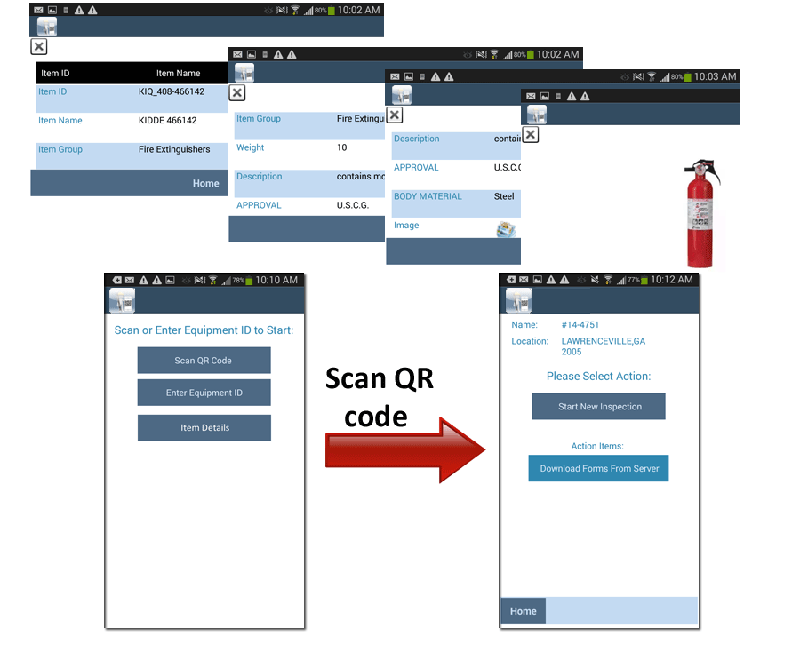 In addition to filling out mobile forms, field technicians can review equipment specifications and previous maintenance, service and repair records by scanning barcode / QR code label with a smartphone. Create custom equipment maintenance and service forms via a web dashboard. Add different field types: text, numbers, lists, yes / no selection, images, scan in fields. Indicate if fields is required or optional. 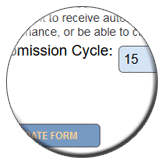 Define form submission cycle (how often this type of maintenance should be performed) and receive automatic alerts when next maintenance is due. Create multiple forms, identify which form(s) are valid for a specific equipment type. Include clarifying text and image(s) in the forms. Split forms into categories / sub-forms for clarity and easier completion. Allow users to upload image(s) as part of the form. Optionally an administrator can start filling out a form online and then push it to the mobile devices for completion. When performing equipment maintenance in the field, technician pulls out a list of valid maintenance forms on his smartphone by scanning QR code or barcode label. While performing maintenance, technician fills out correct maintenance form and submits it to the cloud when done. If required, a technician can take photos with a smartphone and attach them to the maintenance record. GPS location of the maintenance is captured automatically and is submitted along with the record. Field technician can collect an electronic signature from a supervisor or a customer. Field technician can create pdf report that will include form data, photos and signature, on a smartphone. (S)he can view pdf, print and e-mail to the selected addresses in the field. You control pdf look and layout using custom templates. Make sure that your maintenance records are well organized, can be found easily, and are not misplaced or lost. Maintenance records are submitted and stored in a secure cloud, and can be accessed in the real time from anywhere by an authorized personnel. 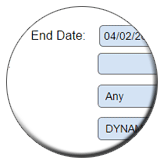 An administrator can review all completed forms, edit if necessary or fill out "office only" part. If something is missing or incorrect, an administrator can mark a form "incomplete" and push to the mobile devices for completion / corrections. Access finalized records online at any time from anywhere. Apply multiple filters to find required information fast. Review maintenance locations on a map. Export maintenance records as an .csv file. Create and download pdf report for any record. Report can include collected data, image(s), signature, and your company information and logo. Use generated pdf report to e-mail to customers / other entities which may require this information. Control pdf reports look and layout, what exactly is included by using custom templates. Upload templates via admin web dashboard, change any time. 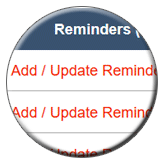 Configure custom reminders to alert you when next preventive maintenance is due, or when equipment warranty expires. Define how many days in advance you want to receive a preventive maintenance alert. You can configure several alerts (e.g. 3 days in advance, one day in advance, on the date). Receive automatic alert for overdue preventive maintenance. 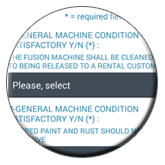 Receive one reminder for all equipment due for the maintenance on a specific date. Extend your equipment lifetime by maintaining a proper preventive maintenance schedule. Never miss a scheduled maintenance!